Ever since I missed in the year 2000, from the Manchester area, a 1981 MY gunmetal grey with tan hide Ruf SCR with the 225 hp powerpack I have been looking out for these babes. On pistonheads they advertise this beast: I will try to check her out by Thursday or Saturday but these things hardly hang about, even if it is rather pricey for a tuned SC. In 1978 Ruf presented the 911 SCR, a more powerful normally aspirated 911. While the porsche factory throttled output of the 911 SC to 180 BHP for marketing reasons, Ruf offered a 3.2 litre engine developing 217 bhp. Combined with weight optimised equipment, the RUF SCR achieved performance levels comparable to the 930 turbo. At the front, the 911 is SCR carried a large RUF front spoiler, with its integrated oil cooler and round brake-cooling ducts. The need to reduce fuel consumption along with stricter emission laws had become one of the automotive industryÂ´s most urgent issues in the 1970s. To adapt to these new standards, Porsche reduced its normally aspirated 3.0 litre flat six to 180 hp. Apart from the expensive Turbo, this opened a gap in the model range as customers who desired more power now had to go for the comfortable 928. Consequently, the 911 SCR conversionÂ´s centerpiece is the SC engine enlarged to 3,185 cmÂ³ with a peak power of 215 bhp at 6,000 rpm. The RUF five-speed manual transmission contributes to significantly improved fuel efficiency. Along with better tractability, the SCRÂ´s road performance nearly matches the Turbo and perfectly closes the gap Porsche left open for political reasons. Introduced in 1978, the 911 SCR, together with the RUF Turbo 3.3, completed RufÂ´s model range of optimized conversions of both the Carrera and Turbo. That is cheap for the car Bert - long as the body isn't hanging worth buying I would say. I might even pay that with a mouldy body if they had the Ruf papers for it. I remember when I was thinking about the Orange you said an SCR would be the one you went for and thinking to myself 'I don't know the last time one of those was up for sale', but I think the last one I saw was this one, or certainly one the same colour. Get there fast, this is not going to hang around IMO. I am currently not in a position to buy that car: new girlfriend, new house and different job means that I have to play with what i have got- and the rest gets invested in learning to race. Â£11000, a silver metallic one near Oxford in 2003 for Â£14000 and around that same time a turbo bodied SCR that was featured in 911 & Porsche world's tried and tested, advertised at Â£12000 but there was a whole lot wrong with it. The silver one was close to immaculate, meaning that it was a Ruf chassis (they introduced RUF vin numbers in 1981- anything before that is Porsche numbered) and was very little used. I will contact the seller to ask whether I could see it and report back. double-dog dare ya - looks awesome but be fast as JG says. I bought my last porka off Piston heads and had the deal done within 6 hrs of the add going live. I say sell the girlfriend! 217bhp in 1110kgs not that fast though and you could build a quicker SC for less. Still a nice thing to have but shame no papers. Perhaps the price is hopeful but I guess depends on what it looks like when you are next to it. No papers takes a huge chunk of money off it, so think what a full-up one would sell for, then think what a regular SC in the same condition (inc LSD, 9s and 930 brakes) would sell for and it wil be closer to the latter. I'm helping my friend Graham sell the car..... and it used to be mine up until about 5 years back. The performance of this car was always extraordinary. As you say, 217 bhp is no great shakes, and it could have been lighter, but even in comparison with my old ( and not quite standard Carrera 3 ), it was markedly quicker across country; it accelerated more briskly, the altered gearbox ratios worked a treat, the LSD helped you stick the power down anywhere, it's handling was quick and pointable, and the brakes - the brakes were simply phenomenal. The car was tested many years ago in 911 & PW as a Tried and Tested, and came out with flying colours. The missing history is a real annoyance, because not only was all the original stuff there, but also details of a complete rebuild in the late 1980's. I don't know what to say about the price. Graham has put time and money into keeping this car in good condition, but there are some "improvements" that crept in that I wouldn't have gone along with! It appears to be RUF still selling the conversion kits for the SCR, CR3.4 etc - though it does look like it is just the engine kit? Welcome Mal - have you tried a quick mail to Ruf direct? They are usually very helpful. Ruf also have an "international website" Ruf official website where there is no requirement for reading japanese. The specs of the SCR were never well documented anyway but I have the Ruf book here- I could provide a scan of the page regarding the SCR for further information. Somewhere up in my loft I kept the original tests of the prototype BTR when it was featured in Auto, motor and sport in 1985. I have an early test of an SCR as well, but that is well hidden. If and when you are researching SC's do extend your search to an early Carrera 3.o: there are a few Ib's who have the pleasure of tasting a bit of early carrera! Thanks for the welcome both. I had seen the German site, that still sells some mechanical parts for the SC, the thing about the Japanese site is it still appears to sell the engine size (3.0 to 3.2 and 3.2 to 3.4) conversion kits - but my Japanese is not good enough to tell for sure! the shell comes with a 1979 MY Vin whereas the engine comes with a 1981 MY number. The car was previously a lighter shade of pastel green, as the smugglers box area in the front still indicates. The current colour is a tat darker than the "Ruf" green. The car is LHD and is provided with the ruf gearbox and roll cage, aero mirrors with plain (no convex) mirror inserts, front oil cooler (replaced), modified Ruf front spoiler, 917 front brakes and inner ventilated 930 rear brakes, green bilstein "comfort" spec shockers, 7 and 9 inch x 16 fuchs, 3.2 GRP rear spoiler, no rear wiper nor headlamp washers, lightweight GRP rear bumper. Heat exchangers were replaced last year for SSI's and they work in conjunction with a RSR type of exhaust that is rather quiet. The car is cosmetically not immaculate: this is a drivers car that is mechanically in very good condition, all components work as intended and is fully greased up and wax-oiled. However, most of the underside is caked in dirt. Considering that this car is owned by a spirited and fantastically sympathetic 78 year old sidecar motorcycle champion of season 1953 and 1954, the emphasis of this car was on the usage rather than the cleaning side of things. Oils get replaced yearly or every 3000 miles. 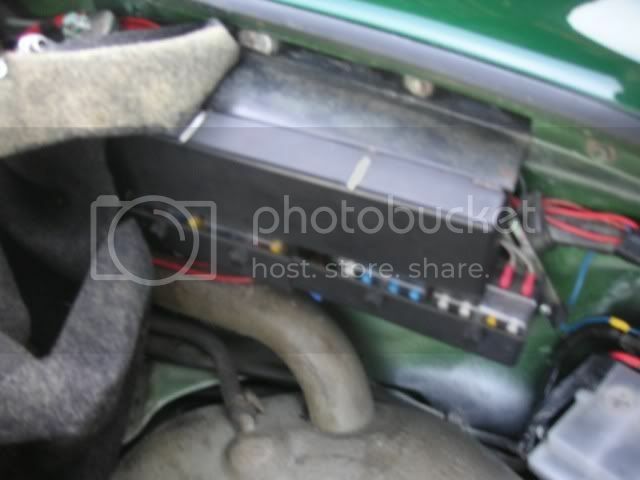 the owner has made some sympathetic modifications to the sump plug etc whereby an additional metal wire protects the bolt "just as they did with racing motorcycles". bar screwed over the original carpets at the back and into the floorpan/sills at the front. Side impact bars available but not mounted. 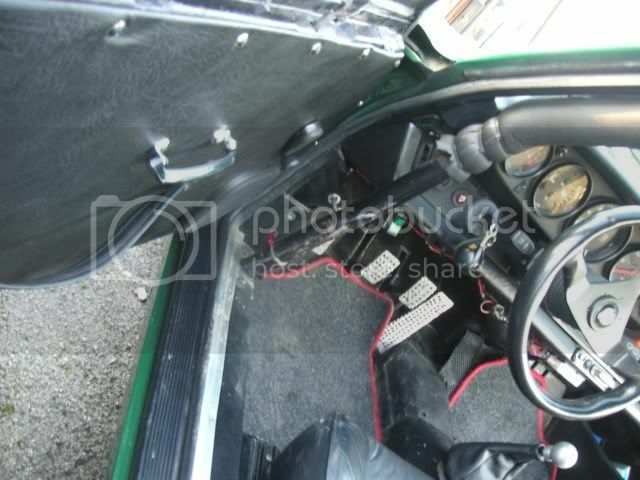 Full sound insulation is present, aluminium pedals mounted over the original pedals and alu foot rest available. A momo corsa steering wheel finishes it off. 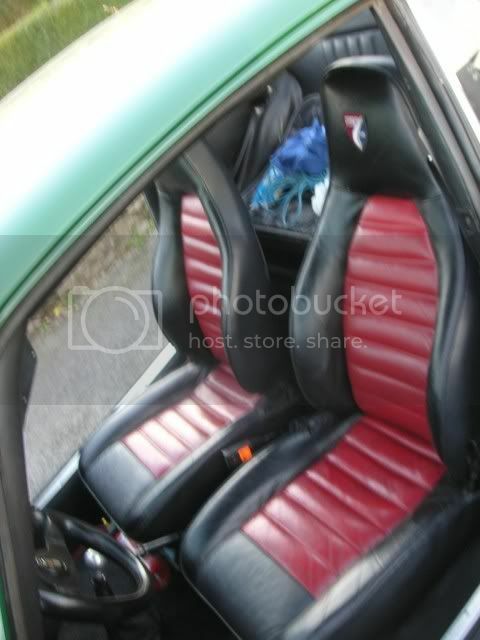 Doors have 2.7 RS style door cards, manual windows and no door top "roll". In place of the ash tray, the current owner has mounted a start button, as well as a modification so that the indicators are "beeping" loudly due to the drivers advanced age. 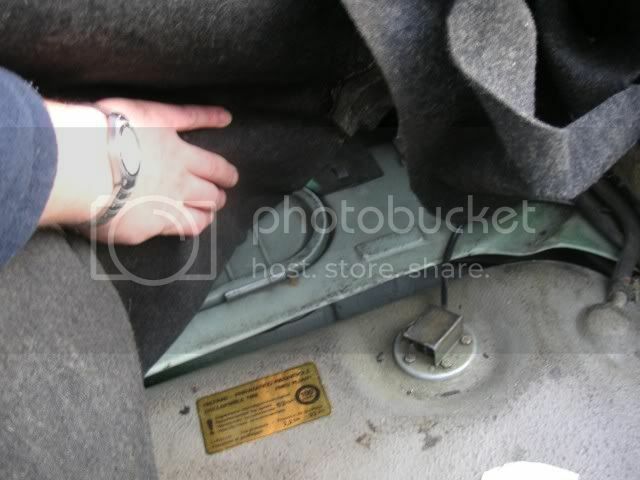 In the boot area, the porsche fuse box is replaced by a recent fusebox that takes the newer type fuses instead of the period ones. The car had evidence of work on the right side windscreen surround as overspray/ polyester marks are visible. The car doesnt have sill protectors so the oil lines are exposed. The car was involved in a minor incident where a land rover damaged the front spoiler, oil cooler and rear wheel area. 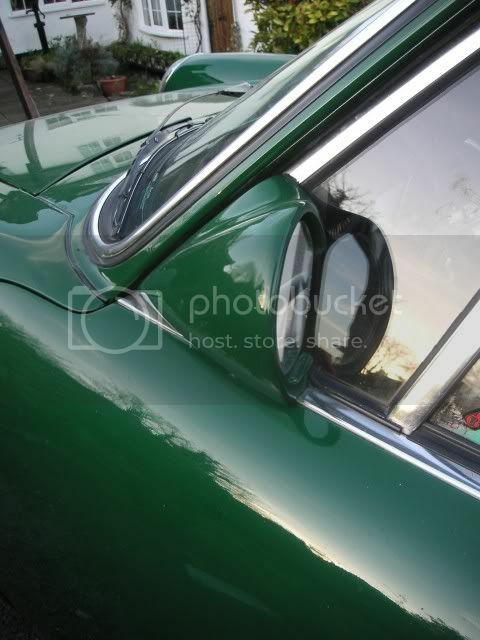 The original spoiler is not available but a suitable alternative is found, whereby additional "fish eye" driving lights are mounted in the brake cooling slots. The quality of the colour change from a pastel green to the Ruf green non-metallic is of a window-out variety but is tired. There are signs of repairs at the bootlid, bumpers, front spoiler, and the window surround. The front screen has stickers indicating nuerburgring international drivers training 1988 and 1989, as well as a 2006 silverstone classic sticker. In the rear window there is a Ruf- sticker. 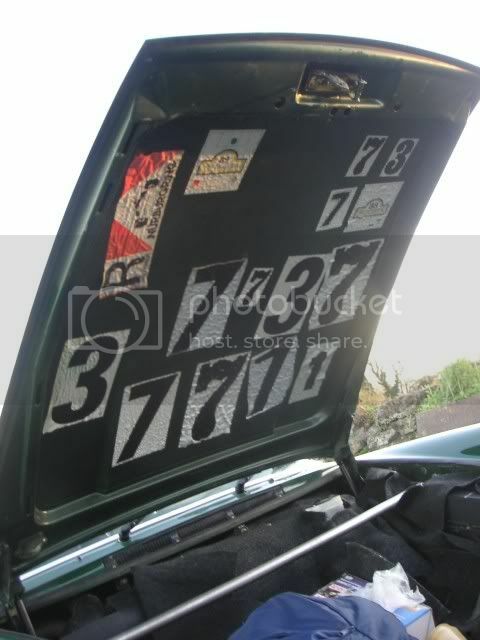 The boot and engine lids have the Ruf logo instead of the porsche shield, with additionally at the back a 964 type "RS" logo. History wise: John Ward went very far in order to chase as much as possible as, from what I understand, all history was lost. The porsche letter states that it is an unusual specced SC and considering that the engine casing carries a MY 1981 porsche number, there is the suspicion that the car went into Pfaffenhausen more than once. If I would own this car, I would make an appointment and take it back to the factory to see whether anyone remembers anything (all early files are lost at Ruf, apparently). Ruf did organise driver training sessions at the Nuerburgring so I would like to jog peoples' memory back at Ruf. There is a suspicion that a previous owner was a BBC employee who wrote a series but I have no further info on this. In summary: this is a mechanically strong car in a cosmetically challenged condition. The car, in the right hands, has enormous potential over A and B roadsor on a track, whilst also providing a stunning degree of comfort (in comparison to my Carerra 3.0 targa which runs with no sound insulation and a fairly bare set up). This car is ideal as a fast road-race car whereby I would flick a weekend- hold all in the back, check tyre pressures and tank it up and go straight to Germany for a day of fun. PM me if you need further info, although I'm quite busy until wednesday. Just watched a very short video clip of this car. I would urge anyone looking for something very different and fun, to get and see this car ASAP. 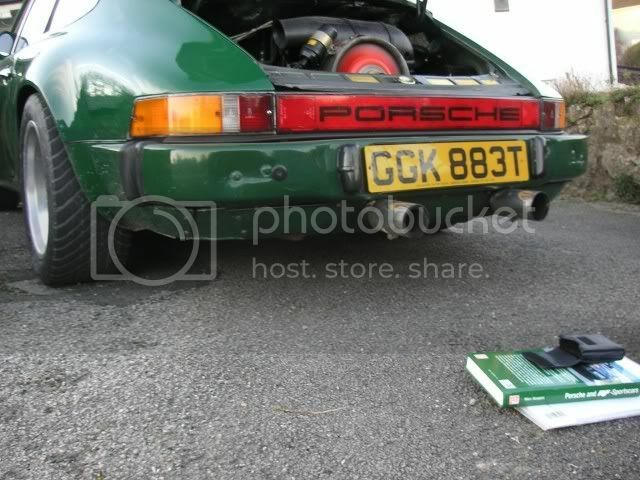 It sounds incredible and that exhaust is mine, I will have exactly the same thing on my car, it is wicked. I still think Â£15K is a bit optimistic considering the lack of history and documented provenance, but what is Â£15k gonna buy you in the great scheme of things? 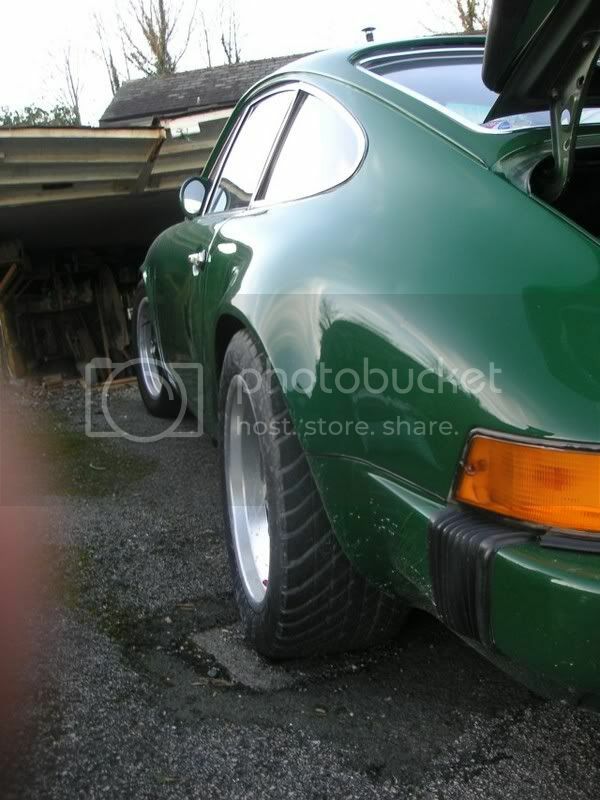 This car has 917/930 brakes (how much) and 7+9" Fuchs, there's Â£2k in bits no sweat. More if the front discs are early Turbo floaters and have lots of life left in them. Add the cage and the proper suspension components, and lose the trim and the front spoiler (I say go back to genuine chin spoiler) and you are looking at a very rare car that, presented properly, could be up closer to the 20s looking more stock with decent interior etc. That trip to Ruf is something I agree should be done ASAP. Nice job Bert - I suspect that Graham and yourself got on well with one another. If he'd kept half the sports cars he's owned over the last 50 years he would be a very rich man indeed! David Alston bought the Ruf SCR after it had been rebuilt in the late 1980's ( hence the engine number change I guess ) for a Swedish enthusiast ( tiny Porsche Club Sweden logo in NSR window ), and having used it himself for quite some time, he sold it to Jeremy Lloyd ( 'allo 'allo scriptwriter ), a well known afficionado of light weight Porsches. He in turn sold it to his bank manager, and he was the one who lost the history file! I'll try again with regards to the history as I still have the address of the bank manager in question, but I don't hold out much hope. 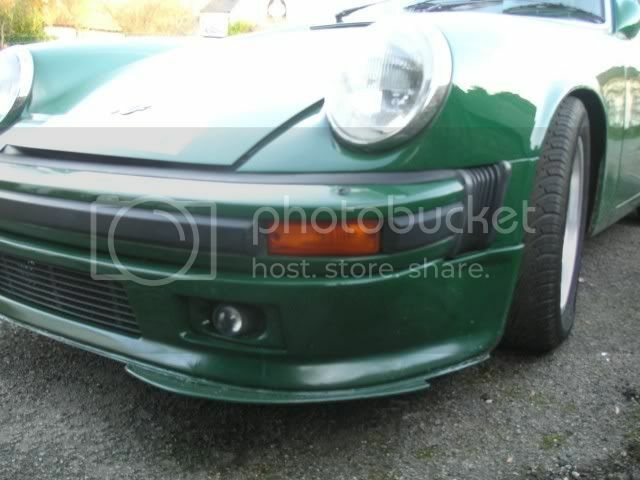 There's a chap on PP advertising some Ruf bits for sale including a front spoiler, ad is here. I remember Graham and the car frequenting Ninemeister quite a bit in our earlier days. Whilst I cant speak for its condition now I do know he certainly cared a lot for the car and got an awful lot out of it in return. Its certainly an odd bod and being unique and period it certainly has character. It always attracted a sideways glance wearing the RUF badges and the conversations on provenance you are likely to have as a new owner would certainly make for an interesting time. You wont be short of people to talk to. I would move to big fat 15s and put the front spoiler in the loft - moving to a standard clean front. There is another thread about this somewhere and it is on the blog. So let's close this one and start anew.